Dark Cumaru has been sorted for a more consistent coloring. 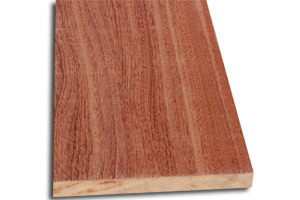 Dark Cumaru is also called Brazilian Teak. Cumaru lumber is extremely stiff, strong, and hard, lending itself well to a variety of applications, like flooring, furniture and rub rails for boats. The heartwood of Cumaru fluoresces under a blacklight, which can help distinguish it from Ipe. Cumaru tends to be hard to work due to the density and interlocked grain. Cumaru contains silica and will have a moderate blunting effect on tool cutters. 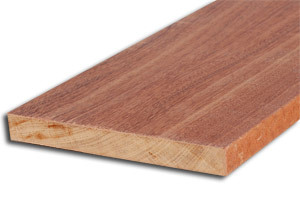 Due to its high oil content and density, Cumaru needs to be pre-drilled when screwing or nailing.